FACT: Narcotics trafficking usually refers to the smuggling of cocaine and heroin from one country to another. It can also refer to marijuana that is transported across international borders. FACT: Narcotics are used for legitimate medical purposes for the relief and control of pain. FACT: Patients with chronic pain are often prescribed a narcotic that is closely watched to prevent any dependence issues. Doctors will sometimes advise patients to choose an alternative to narcotics to relieve pain, such as meditation, which has been proven to have the same effect on the brain as an opiate. FACT: Most narcotic drugs are highly addictive and each person has a different experience with the drug. Some become addicted at first use others NEVER become addicted. That’s why knowing narcotics abuse facts can be so critical. FACT: Narcotic abuse can lead to serve health problems and death. FACT: Narcotics are abused to get a desired effect, such as a “high” or “rush.” Users desire the euphoria that comes with the abuse of the drug. FACT: Narcotics can cause negative side effects for users, such as anxiety, respiratory failure, increased heart rate, a rise in blood pressure, cardiac arrest, coma, death. FACT: Narcotics act on the central nervous system or the CNS and suppress it’s functioning. Your CNS controls breathing, which is why many stop breathing when they overdose or take too much of the drug. They suppress their CNS until it stops all functions, which are narcotics abuse facts to be aware of. FACT: When abused Narcotics can cause permanent brain damage and damage to nerves. FACT: Deaths due to narcotic overdose are common. FACT: Narcotic abuse is any use of the drug for other than its intended, medical purpose. This includes not following prescription orders by taking too much drug too often. It includes use of illicit street narcotics. FACT: As people use narcotic drugs they build a tolerance to them, meaning that more drug is necessary to achieve the same effect. People will become psychologically dependent on a narcotic and because their body has build a tolerance, they become physiologically dependent as well. FACT: When a person becomes dependent that is often referred to as addicted. When someone is addicted it means they cannot just stop using the drug. FACT: People who have become addicted need help to break that cycle. Treatment is necessary to help people get back on the right track. That’s why narcotics abuse facts can be useful to know. 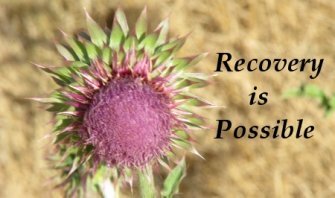 FACT: It is sometimes hard to recognize addiction, because it is a process. People gradually lose interest in their families, their friends, lose interest in their job and social activities. Perhaps their job performance slips, or they spend more and more time alone. As a person moves from abuse to addiction they focus on their drug of choice to make sure they have enough. They will make sure they have a supply, so if that means stealing from family members, pawning family treasures, selling drugs on the streets, they will do whatever it takes to make sure they have drugs. FACT: Narcotics abuse rips families apart and costs states and communities countless millions in medical bills, court costs, incarceration costs, etc. FACT: Narcotic addicts often use syringes to inject the drug into their blood stream. Using a dirty syringe can lead to HIV/AIDS, hepatitis and other medical complications. FACT: Narcotic addicts who do not die from overdose are in jeopardy of dying from chronic liver disease, suicide, murder, or trauma, such as succumbing after an accident. FACT: Because narcotics act on the brain, addiction is a brain disease. Narcotics, therefore, can have an extremely negative impact on people who already suffer from emotional/psychological problems. Knowing narcotics abuse facts help people better understand their problem. FACT: Users of narcotics can experience unpleasant withdrawal symptoms and sometimes addicts will refuse treatment because they fear the withdrawal. The symptoms of withdrawal will vary depending on the drug, but in general some of the symptoms include depression, vomiting, irritability, tremors, intense cravings for the drug, muscle and bone pain, muscle spasms, chills, sweating, elevated heart rate and blood pressure. FACT: Although very unpleasant, withdrawal from narcotics is rarely fatal. Symptoms should ease in a week to 10 days, but withdrawal has been known to occur for nearly a month. FACT: The cravings can continue after withdrawal symptoms have subsided. Narcotic addicts are at risk of relapse, entering a 12 step program and going daily can help reduce the cravings and help avoid relapse. Narcotics abuse facts are also useful to understanding addiction. FACT: Narcotic abuse can take place in two major ways. The first is when a person is prescribed a medication by their doctor and, over time, develops dependence. The second abuse is probably more common and that is when a person uses a narcotic for recreational purposes. They want to get high. They enjoy the euphoria that the narcotic delivers. This second form of narcotic abuse occurs over long periods of time. People become addicted and stay addicted for years. FACT: It is important to note that even those who abuse narcotics do not necessarily become addicts. Abuse is NOT addiction. FACT: The younger a person is when they start abusing a narcotic, the more likely it is they will become addicted. Teenagers are particularly susceptible, because their brains are not fully developed and they lack the ability to fully comprehend and reason through the consequences. That concludes our section on Narcotics Abuse Facts for more information about addiction and Narcotics Abuse Facts please visit our home page.